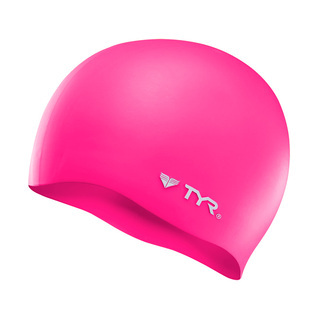 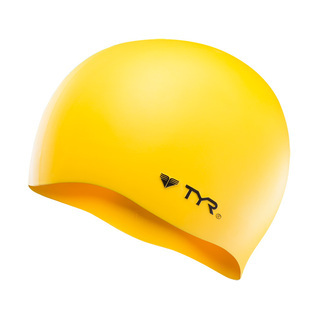 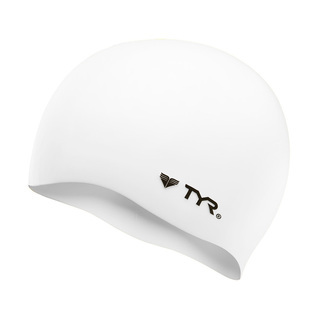 The Wrinkle-Free swim cap is made of 100% silicone and provides quality protection from the harmful rays of the sun and damaging elements in the water. 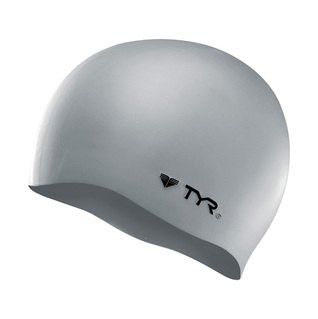 This durable cap is tear resistant, reduces drag, slides on easily and stays on in the water. Perfect for adults and children, the LCS Swim Cap is available in an array of colors and features durable, long lasting color, for performance in the water. durable, stretches better than the Nike silicone cap, much better than the water pro silicone cap (IMHO).